In Punjab, there are several universities which provide higher education to the people of the state but there are only a few universities which understand the importance of education and take extra interest in the growth of its students. Punjabi university is one such university which not only provides a wide range of courses but teaches its students how to excel in the world and takes special interest in developing key skills in them. 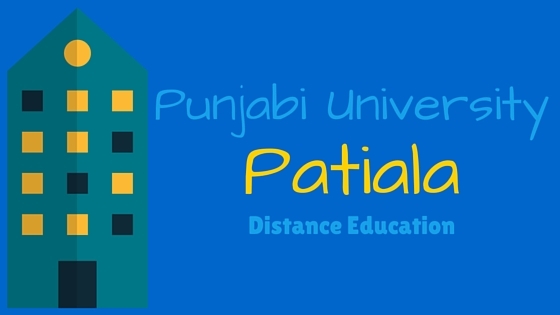 Punjabi university is based in Patiala and is founded on 30 April of the year 1961, since then this university is the main center of education in and around the State. To extend its reach and to provide education to the unfortunate children’s who cannot afford a regular course, the university opened its Directorate of Distance education. Directorate of Distance education became operational in the year 1968 and has helped thousands of students realize their dream since then. Punjabi University offer undergraduate degree courses, Postgraduate degree courses, diploma courses, postgraduate diploma courses & certification programs in the following discipline. For taking admissions into the university, students need no entrance test. Admissions are granted purely on merit basis and first come first serve basis. For admissions, students can go online and download the application form on the website. After downloading they can submit the form through online or by Directorate of Distance education.